Peter Leithart (a minister in the PCA, author of multiple books on theology, literature, etc.) has recently re-blogged some thoughts from a counterpart in the “Federal Vision” movement, Rich Bledsoe. These thoughts were directed towards both Roman Catholicism and the Eastern Orthodox Church. For those unaware (likely the vast majority of you), the “Federal Vision” is a theological movement within present-day Reformed Presbyterianism, which is also self-described as “Reformed Catholic,” borrowing the term from two prominent, Protestant Hegelians of the 19th century, John Williamson Nevin< and Philip Schaff. In other words, these men see themselves as the true heirs of Catholicism and the Catholic Church, but obviously within the overall tent of the Protestant reformation(s). 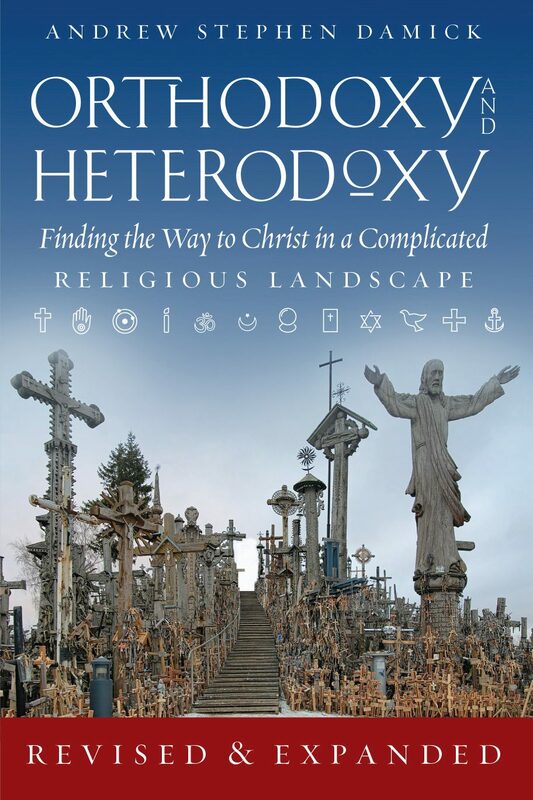 Alongside men like Bledsoe and James Jordan, Leithart has been an open critic of both the Latins and the Eastern Orthodox Church in his career, despite his great dependence on their theology and theologians. One of his most vocal criticisms is against the claims of “unity” and “oneness” from both the Latin and Orthodox perspectives, that both Roman Catholic and Orthodox Christians believe that their respective communions constitute the one, true Church of Christ and His apostles (the “one holy, catholic and apostolic church,” as per the Symbol of Faith). Leithart and his companions explicitly deny this possibility, and rather see the Church through the lens of a modified version of the 19th century Anglican “Branch Theory” (formulated by William Palmer), where there is one Church, but many branches visibly divided through schism and even heresy (e.g. idolatry). The original “Branch Theory” included only the Anglican Communion, the Roman Catholics and the Orthodox as the three “branches” of the one, true Church. In its original iteration, this ecclesiology would exclude Presbyterians. For a group that prides itself on typological interpretations of the scriptures, I find it interesting that Leithart would have missed so remarkably this one. Abijah could tear his garment, but we can never tear Christ’s—we can never rip apart the unity of the Church, because we are clothed with Christ Himself and find our unity in Him. The Roman soldiers couldn’t do it at the foot of the Cross, and neither can we. The “Gates of Hades” (Hades = death = schism) will never prevail against the Church, as the Lord Himself promised the apostles (Matthew 16:18). Along with the Evangelist, we must view all schism/heresy as people “not of us” who are abandoning the one, true camp (cf. 1 John 2:19). While this seems to be an outlandishly ignorant reading of both Church history and the ecclesiological perspectives of both the Latin “West” and Greek “East,” I will offer a response. First, the Orthodox Church does not have a “world headquarters” of any sort or kind (including and even especially in Istanbul). As Fr. Thomas Hopko has wisely pointed out before, there is no “holy land” for the Orthodox (despite the pilgrim’s fervor of many), as every place that the Church gathers for the celebration of the Eucharist is a “holy land,” because of the fact of the gathering of God’s people in a place, sanctifying it through their worship and unity with Christ. The true Temple and true Jerusalem are found in the Person of Jesus Christ, and our experience as the “New Jerusalem” is only by virtue of our union with Him. As a result, the Church itself (not a building) is indeed the Temple—the very house of the living God (1 Tim. 3:15). Finally, we too believe that every local church (the diocese, to be technically accurate) under an apostolic bishop is the fullness of the presence of the Catholic Church, as St. Ignatius of Antioch clearly teaches: “Let that be deemed a proper Eucharist, which is either by the bishop, or by one to whom he has entrusted it. Wherever the bishop shall appear, there let the multitude also be; even as, wherever Jesus Christ is, there is the Catholic Church” (Epistle to the Smyrnæans, Ch. 8). As to whether this local church is ruled by a “book,” we must certainly disagree with Bledsoe, for our true Canon/Rule is Christ and our conscience is the Holy Spirit. The locus and Icon of “rule” in a local Church (diocese) was always—and has always been, in the apostolic Church—the bishop. Neither in the New Testament nor in the subsequent, apostolic eras, did the Church make sole appeals to a (non-existent at the time) book. The earliest Christians lived by the oral traditions of the apostles, making numerous references to the teachings/commandments of Christ (many of which, as in Clement’s Epistle to the Corinthians, were not later found in the New Testament itself), as well as the prophets of the old covenant. The evangelistic texts of the early Church were that of the Alexandrian canon of the Old Testament (i.e., the Septuagint textual corpus), which were widely disseminated in the Jewish diaspora throughout the empire by this time. Alongside all of this, however, the Christian Church was guided by the Holy Spirit (e.g., Acts 15:28). St. Peter’s sermon on Pentecost at the third hour was a testimony to this new “age of the Spirit” and prophecy in light of the predictions made by the prophet Joel, whom the apostle directly quotes (Joel 2:28-32; cf. Acts 2:14-21). In fact, without this outpouring of the Holy Spirit, the Church would never have had either the authority or ability to declare the writings of the apostles as Holy Scripture in later centuries, given that many Jews (wrongly) believed that prophecy had ceased in the 5th century BC (or in the time of the Maccabees for others). As with most Protestants, Bledsoe takes the canon of his Bible for granted, without acknowledging the history behind it or what had to take place so he could make use of it. “High places” belonged to the childhood of the human race (cf. Galatians 4). The idolatries practiced by Rome and Orthodoxy, are childish practices. On the other hand, we do have an explicit reversal of Bledsoe’s argument above in the Gospel: “Amen, I tell you that unless you change and become as little children, you will in no way enter into the Kingdom of Heaven. But whoever humbles himself as this little child is the greatest in the Kingdom of Heaven” (Matthew 18:3-4). I’m not implying that icons are only for children (as St. Basil once related that icons brought even the most aged of men to tears through humility and conviction), simply that being “like children” isn’t an evil thing. I often wish my faith was as strong as the faith of my three-year old daughter (who, incidentally, loves both icons and the Church). But I think the real crisis for Rome and Orthodoxy is not being played out in tribal and original participation Africa, but in final participation Western Europe and United States. I am not sure we are psychically capable of believing what Frankish tribesmen, or even Irish peasants of 150 years ago, were capable of believing. I know we are not capable of believing what New Dehli taxi drivers are capable of believing about the idols on their dashboards. Modern ideology is of course, what modern and sophisticated idolatry really is. It is a series of mental constructs, not golden, or silver, or brass, or wooden, or painted images that can be seen and felt. Hence, what I wonder is, is Romanism and Orthodoxy, while keeping the outward accoutrements of childish idolatry, really transformed into something that is an ideology? Is there now in the West an ideology of Romanism, and of Orthodoxy? I doubt the sophisticated American convert really reverts to the real practices of Russian peasants of 200 years ago, and I suspect he really transforms icons, etc. into a kind of ideology and that this theology functions that way just as much as the worship of the Westminster Confession among Protestants. Ideological idols are much more serious than the “high places” of I-II Kings. It is much more like Jesus condemnations of the Pharisaical view of the Temple and Temple theology (Matthew 23:16-36). Judaism at that time was one of the first transformations to final participation in the world (the Greeks, who surely could never have made that same leap, without cross fertilization with the Jews, were the other). The Temple had become an excuse for an ideology, and idolatry had by leaps and bounds, grown in sophistication from the time of Jeremiah (Luke 11:24-26–a parable about Israel since the Babylonian captivity). >Roman Catholicism and Orthodoxy seem to be in the same soup as Presbyterians and Lutherans and Baptists in terms of the kind of idolatry that we are really struggling with. Converts to earlier forms of the church have simply complicated things by making ideologies of childhood toys. I must first say that I find it rather strange to assert that we are incapable of being united in beliefs and perspectives with those of other cultures and ages. I recognize there is a difficulty there, especially if we approach Church history as an archaeologist, completely divorced from the life and mind of the one, true Church (as Bledsoe must do, being Protestant). But as an Orthodox Christian, we are not attempting to abstract ourselves from post-modern America (for example) and be found in the same time and place as St. Basil the Great (for example). On the contrary, we are united with the mind of the Church and the unity of the Trinity—a unity that is independent of time, space, culture and nation. If we are all to share in the “mind of Christ” as Christians (1 Cor. 2:16), then we should not have to worry about being divided according to time, space, culture and nation. Indeed, in the Church, we are to be of the same mind, and that mind is Christ (and this is made possible through the Holy Spirit). Our ability to be “of the same mind” and share in “one faith” is not the result of historical investigation or the intellect divorced from the spirit, as Bledsoe seems to assert, but rather through our Mystical union as the Body of Christ. The heart of Orthodoxy is not the “practices of Russian peasants of 200 years ago,” but rather is our worship and unity of faith as an icon of the Trinity. I may never live like a Russian peasant from 200 years ago, but that does not deny the unity of faith, mind and spirit in our unity with Christ as His one, true Body, nor does it deny that I can “be Orthodox” in 21st century America, although I acknowledge the difficulties of doing so, and I’ve written of this on many occasions. Any difficulty found in being Orthodox in America today is not a condemnation of Orthodoxy or of our inability to be joined with those who have paved the royal pathway of our fathers, but of the negative influences of our post-Christian, American culture. There are certainly ideological idols in our day and age (e.g., the Constitution), and I share Bledsoe’s condemnation of such things. However, the Church is wholly unlike any other “institution” or experience of this present life on earth. The Orthodox Church of today is not a different body from that of 200 years ago, or even almost 2,000 years ago. To imply such a thing is to imply an evolutionary model of history that denies any possibility of true unity across time/space/culture along with a denial of the very words of Christ and His apostles. While this dialectic approach to history found its home with Nevin and Schaff, it has no home in Orthodoxy, i.e., historic, catholic Christianity. If the Church is the fullness (pleroma) of God on earth (Eph. 1:22-23), and the pillar and ground of the truth (1 Tim. 3:15), it is incapable of being distorted, divided or abstracted from its very essence and reality as the one, true Body of Christ and as the locus of true humanity (no matter when we happen to be alive or in what culture or language we find ourselves). Our Church and her history is not the result of pinball bounces between thesis, antithesis and synthesis, but rather is the result of the inspiration and guidance of the Holy Spirit and our true union and communion with both Christ and with one another across space and time. As such, we must never fear that we have been too far “removed” from the saints and martyrs that have struggled alongside Christ and lived before us, according to the passage of time (and who are indeed with us as we worship and pray). We are one temple and one house of the one, true, living God. Becoming an Orthodox Christian is not a childish engagement in nostalgia; it is a participation in the unique Body of Christ for the life of the world.